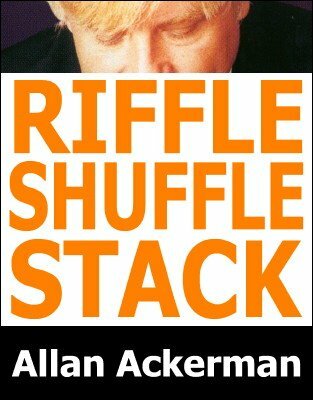 The purpose of the riffle shuffle stack is to place special cards, say the aces, at special locations in the deck so that during a dealing action those aces end up in a predetermined pile, usually the magicians hand. For example, if you are dealing a five hand pocker game and you start out with the aces on top, riffle shuffle stacking allows you to place aces at position 5, 10, 15 and 20 from the top. In this video Allan teaches you how to stack two aces.